We all know that when communities bond together they can do almost anything they set their minds to – including, it would seem, build and run a movie theatre. Large comfy seats and a spacious theatre await in Gull Lake. In the mid 70’s, when the community of Gull Lake’s original movie theatre burnt down, the smart folks there recognized that no one should ever have to live without Richard Gere and banded together to rebuild. Forming the Gull Lake and District Cultural Community Cooperative they pooled their skills and their resources and built the Lyceum Theatre which officially opened on March 30th, 1978. Knowing that the town’s actual blood, sweat and tears were poured into the creation of this theatre, and that’s it’s lasted under the cooperative this long, makes it special enough – but knowing that they now have a new $100,000 state-of-the-art Digital system in play, blows the Lyceum out of the water in terms of awesomeness. 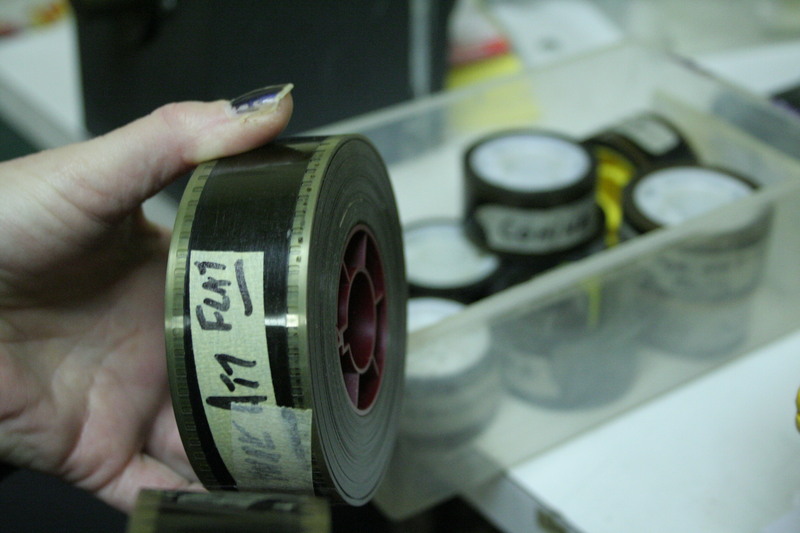 Given a tour by the Theatre’s new manager Belinda Yorke (who took over from long-time manager Walter LeBarge), she showed me how their old antiquated reel system required miles and miles of film, and also needed someone available to cut and splice the pieces of the movie together from the opening previews, to the final credits. 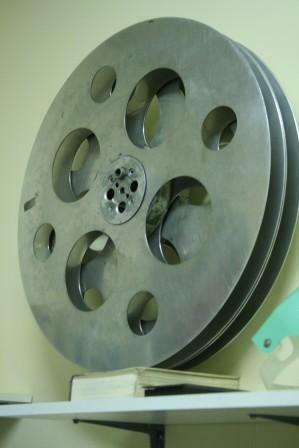 Add in having to physically change the lenses depending on the type of movie being shown, and having to try and lift the cumbersome reels off the machine, it was a measure of progress whose time had come. The new digital system at the Lyceum uses a simple hard drive. Having donated their old projector to the Gull Lake Museum, today all they have to do to play a movie is grab the hard drive, place it in the projector, download a key from the USB drive to unlock the paid-for movies, use the onboard computer to fill in the details of what type of movie it is (2D or 3D), add in the scheduled time they want it to play and voila – high definition movies that play, not on a boring old white screen, but on a perforated silver screen that allows for the 3D effect. Even the sound system has been revamped, with a 7.1 Surround Sound system, one of only two such systems throughout the southwest. But that’s not all it’s got going for it: To start with the theatre portion of the building itself is HUGE, something you would never be able to deduce just looking at the indiscriminate little theatre from the street, so you’ve got plenty of space to spread out. 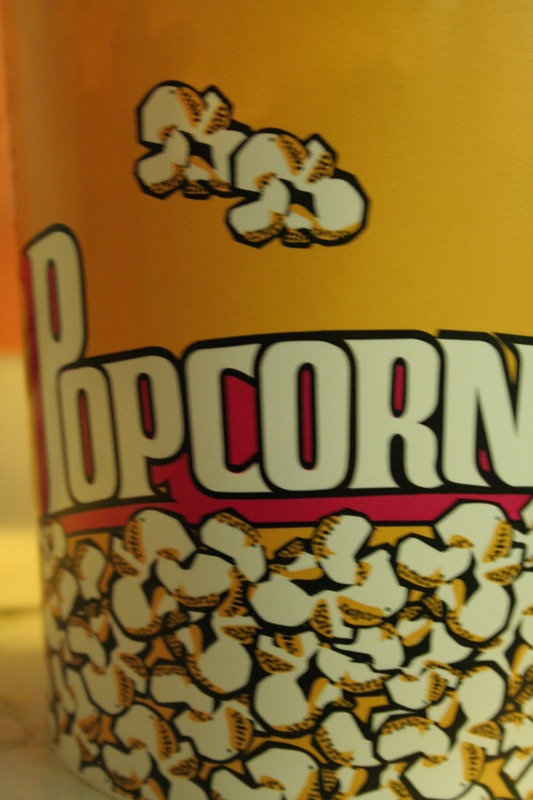 Secondly, they’ve also got the best darn popcorn on the planet (and I should know considering I’m a Popcorn-aholic). I’m not sure if it’s the premium brand of popcorn they buy, or if somehow the canola-based topping they use turns to liquid gold once melted, but it’s really, really good. Third (and this is a big one), it’s cheaper than any other first-run new release movie theatre you’ll ever go to, because as a co-op they’ve agreed that raising prices just to put profit in their pockets is not their goal – offering a place for the community to gather, and making it affordable for everyone – that’s their goal. While my first movie in the Lyceum, wasn’t exactly an epic classic big boom type that could take full advantage of all the new system had to offer, it was still one of the best movie experiences I’ve had in a long time, and now that I’ve gotten my fee wet, I can’t wait to head back to soon to see one of those big epic boom movies. Gotta Go? : The bathrooms reflect the buildings age, but they are clean and serviceable, though the doorways are a little narrow. They don’t have debit – so make sure to bring cash, but if you don’t (as we didn’t) no worries there’s an ATM nearby. Make sure to also bring twoonies for the pop machine which thankfully also happens to be Coke-based (yet another plus in their favour). All of the old machinery from the Theatre was donated to the Gull Lake Museum. For those who want to take some popcorn home for their home movie night $2 will get you a big bag. 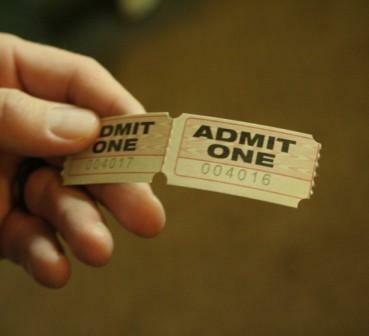 When going to a movie in a small town, the speed at which you can arrive there, the short lines ups and the quick return home, while for some in the big city might seem like a great problem to have, it never really feels like a “date” night to me. Having to make the 30 min drive to Gull Lake from Swift Current, gave us a chance to talk both before and after the movie, and made it seem more like a bonified night out. For those who think the cost of gas to Gull Lake undermines the cheap aspect, considering that Gull Lake is 54 km from Swift, even in our fuel guzzling diesel truck, it’s less than $15. 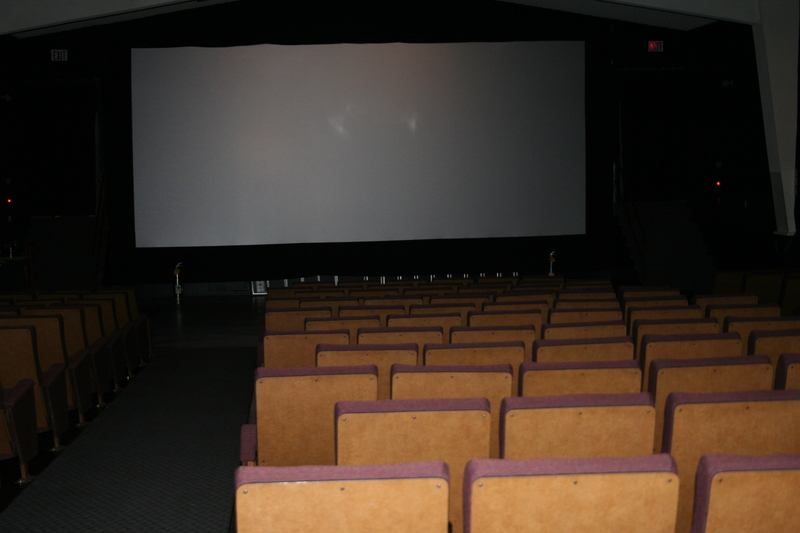 The theatre prints out a movie listing every month that can be picked up on the theatre or viewed on their Facebook page – designed and printed by the Gull Lake Advance for free. You can also view it in the Advance. The cost of the theatre’s new equipment was paid for out of the co-op’s building fund. Not being able to do without one considering the age of the building, they’ve been hard at work rebuilding the fund through special fundraisers and to date have almost reached their goal. They seem to be quite active for a small community – they’ve even set up a cool Christmas display in their campground. Next movie we go to I’m going to go check it out. Great article on great theatre. Best unknown secret in sw sask. Great article – we are very proud of our little gem in the southwest!! It’s pretty special – you should be! It’s awesome! You should be proud! I also love the Christmas display you have set-up in the campground! 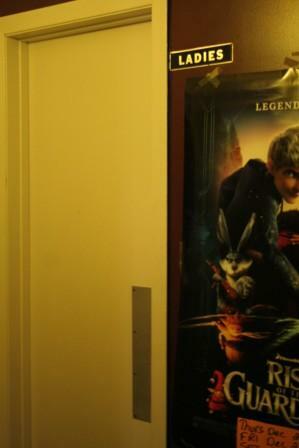 We have been going to this theatre for years and live in the Piapot area. It is a 40 min trip to get there for us but its definitely worth it. 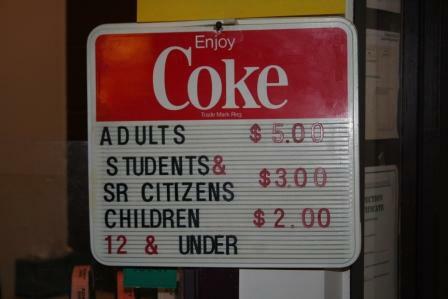 Where do you get a great movie, treats, popcorn and drinks all for under $10. Gull Lake Lyceum Theatre. Thank you so much to all the hard working people of Gull Lake. You have a very special place. Hi Betty – we thought the drive from the other direction was worth it as well. 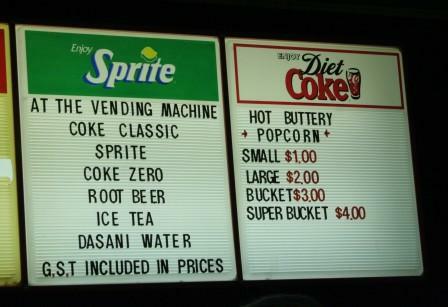 And the popcorn wasn’t just cheap it was GOOD! Piapot is on our list to come check out very soon! Let us know if you can think of other little gems in the Southwest we should visit and check out! 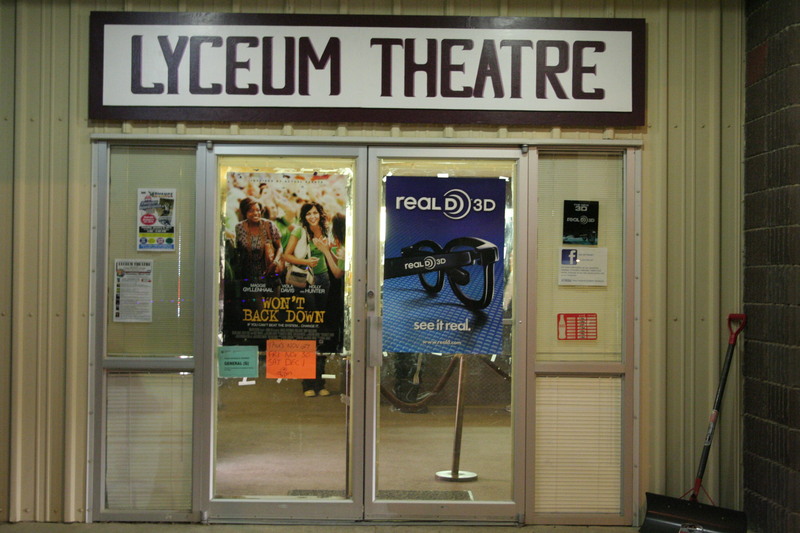 I am from Speedy Creek and have been out to the Lyceum a few times to catch a movie. It’s a nice little drive, and they have a great theatre! It is a nice little drive isn’t it? Thanks for stopping by Debbi! And let us know if you know of any other hidden gems in the Southwest we should know about! Hi Belinda – yes I have been to Howard’s Bakery – it’s AWESOME. I particularly love the bread he makes that has garlic and green peppers baked right in. I’ve had his pies too – but never his donuts. We are heading to Maple Creek on Monday to do a little scouting – we’ll maybe have to make Howard’s one of our next GoHere Destinations! Thanks for the reminder! Let us know if you think of more “unsung” heroes we should look for! hi I was going to have lunch at howards bakery last mon. not only for his great food but also a longtime family friend & found mon. is his day off .will try for another time .as a board member of the theatre we appreciate a drop off for our showlist !!! I love Howard’s Bakery as well – it’s one my list for a blog post someday. Thanks for stopping in! What’s up to every one, the contents existing at this website are genuinely awesome for people experience, well, keep up the nice work fellows. nail onn thee head. The issue is ann issue that too few folks are speaking intelligently about. I’m vry happy that I stumbled afross thiss in my hunt for something relating to this.